On March 24, 2016 Jian Ghomeshi, the beleaguered former CBC radio show host, walked out of a Toronto court a free man. Despite the allegations of violent sexual behaviour, Ghomeshi was acquitted of all charges after a highly publicized trial. This came after months of speculation about his moral and legal culpability in his criminal case, where he was charged with sexual assault against several women, in addition to various other charges. While the trial revolved around the statements made by the complainants, the decision of the judge ultimately came down to one issue: credibility of witnesses. The credibility of the complainants that brought forth these allegations against Ghomeshi was on full display not only before the court of law, but in the court of public opinion. Suddenly, even the smallest inconsistency between accounts became a stumbling block for the prosecution of Ghomeshi to overcome. And, based on the judge’s ruling in this case, there were simply too many stumbling blocks, leading to the release of Ghomeshi and acquittal of all charges. The prosecution in this case had its work cut out for it. How can they prove, beyond reasonable doubt, that the alleged acts took place without any physical evidence that shows physical abuse took place? In this case, it was not so much that the court was unnecessarily harsh, but the standard of proof needed to be met, and the evidence that was presented was all testimony (written or otherwise). With little to no physical evidence, the judge could not rely on the complainants’ testimony to make any decision other than this. This led to public anger against the judge in particular, and the court system in general. 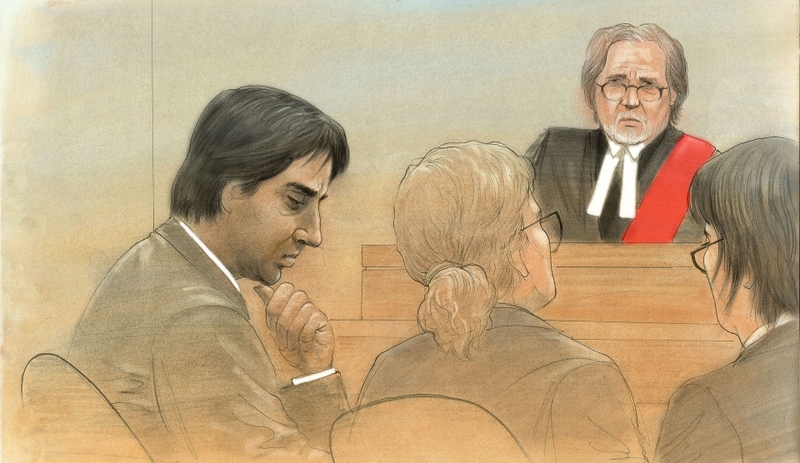 The public was shocked that, despite the presence of numerous victims that more or less corroborated each other’s experiences with Ghomeshi, the court still could not convict him of at least one charge. The underpinning pillar of the criminal justice system – conviction beyond reasonable doubt – became public enemy number one. In the eyes of the public, justice was not served. For victims and survivors of sexual assault, civil litigation might offer a viable alternative to pressing criminal charges. The standard of proof that must be met there is simply “balance of probabilities”, meaning that the balance of power is automatically more equal than what it would be in a criminal context. In a civil litigation, the task of disproving allegations begins to fall on the shoulder of the defendant. A plaintiff’s allegations, coupled with a reasonably sound and consistent story, could allow the plaintiff to meet the threshold. The onus of disproving the allegations then goes to the defendant which, in Ghomeshi’s case, could have been a more difficult task. The consequences of a failed lawsuit should also be appealing. In a civil context, even if the complainants are not able to meet the balance of probabilities standard, the likelihood of the attacker re-commiting the act is low, since he would know that there might be more lawsuits where he might not be successful in defending himself. Ghomeshi, for the most part, is assumed to be re-examining his ways and evaluating his actions in light of the past few months. Although the trial itself may not have been as difficult on him – he refused to testify before the court – the seriousness of the potential consequences might make him reconsider his actions and behaviours in the future. It is a small consolation for the prosecution and the complainants to take home, since it is not a full measure of accountability exacted on him. However, if he was facing a civil lawsuit from the complainants, he likely knows that he may not be so lucky. There is also the element of control over the litigation. In a criminal context, victims serve only as an evidentiary tool for the state, with little to no control over the decisions that need to be made with regards to charges and remedies. However, in a civil litigation, the victim is not only a complainant, but a party to the action, which allows them input over what sort of allegations need to be made, and the remedies they would like to seek. That kind of control over the litigation could be the most appealing aspect of civil litigation. Despite all the positive aspects of civil litigation, there are also negative aspects, mainly in the remedies available to the complainants. Civil lawsuits can offer a wide variety of remedies, ranging from monetary compensation to injunctions. However, civil lawsuits will always lack the coercive power of incarceration, which might be seen as the most effective way of ensuring that the offender does not re-commit the act. However, that may not be necessarily true. A successful result in a civil lawsuit can still be effective in taking away the offender’s credibility and status. In a context such as the case of Jian Ghomeshi, that could be just as devastating as a criminal conviction, since it would remove years of social and/or political clout that the individual may have worked to build. So, despite the lack options to incarcerate the alleged attacker, civil litigation can still offer a strong alternative to criminal charges for victims and survivors of sexual assaults. There is also a greater pressure to settle the matter out of court. In sexual assault cases, the defendant is likely aware that an open trial at court is not advantageous to them, so they would try to pressure the plaintiff into settling through various out-of-court techniques. For example, a defendant may try to intentionally drag on mandatory pre-trial steps to take up the plaintiff’s time and money, and bury them under a mountain of evidence. However, there are chances of this happening in a criminal context as well, depending on the circumstances. A person accused of sexual assault could try to make a plea bargain with the prosecutor if they agree to plead guilty to a lesser offence. Therefore, the possibility of out-of-court settlement should not deter sexual assault victims from pursuing their claim in a civil court. Surely, in the eyes of the complainants, justice was not served. A man who was physically violent towards them on some level is now a free man and, to some extent, with his credibility intact. Not only was justice not served, but in the eyes of the complainants, the credibility of the justice system has been tarnished. From the perspective of the sexual assault victims, there needs to be changes in the way sexual assault cases are handled in the criminal justice system. While some may disagree with that statement, we should remember that there is some precedent in making changes in our laws to accommodate for victims of sexual assault. For example, in civil litigation, the basic limitation period of two years does not apply to victims of sexual assault, who are presumed to need more time before they begin recovering from their assault and realize that they may have a claim in civil court. Therefore, there is no merit to the argument that the criminal justice system cannot be altered to accommodate for victims of sexual assault: there is legal precedent, as well as practical implications, for making such changes. However, until those changes are implemented, there needs to be a legal avenue for sexual assault victims to pursue their claims and hold their attackers to some level of accountability. The civil litigation route can do just that, and will give assault victims a real chance to not only hold their wrongdoers accountable, but also give them a chance to take control of the process that could ultimately serve them justice. For victims of sexual assault, that kind of empowerment can be the beginning of a long healing process, which is an aspect that is often forgotten in criminal proceedings. While most people focus on the accountability aspect of criminal litigation, few talk about the rehabilitation aspect of all the affected parties. If we make that aspect the focus of any litigation, one might find that civil litigation is not only a viable alternative, but might also start a conversation about what changes need to be made in a criminal litigation context.